Miles Tost also addressed some questions from fans, revealing some interesting details for The Witcher 3. He explains that Griffins exist naturally within the world, and you might happen to come across one while exploring. @markyfitz1985 @TheEvilChris @witchergame Griffins exist naturally within the world. You might just happen to bump into one when roaming. There will be a lot of exciting content to satisfy troll lovers in The Witcher 3. @MirrorWave13 @Bacon_is_life The things we have in store for you troll lovers… this game brings it all the way up to 11. Toast also assures fans that they should not worry about any particular version of the game, as The Witcher 3: Wild Hunt looks and runs great on all platforms. @Diogorigins No need to worry. The game looks and runs great on all platforms. We've been working really hard on ensuring this. Responding to a fan asking whether there is a way to lock the difficulty and turn off cheats, Community & Website Coordinator, Marcin Momot, explains that the difficulty level can be changed at any time during gameplay but there are no cheats included in the game. @Grumsticks @TheEvilChris yes and no. You can always change the difficulty level but there are no cheats in the game. Senior Games Designer, Damien Monnier, explains that being part of the development team for The Witcher 3 has been both stressful and amazing . Wishing for players to enjoy the game that has been part of your life for so long, with so much work and love being put into it is a bit stressful on the team. @Ysgatora stressful & amazing, you want players to enjoy the game that has been a part of your life for so many years. So much work & love. 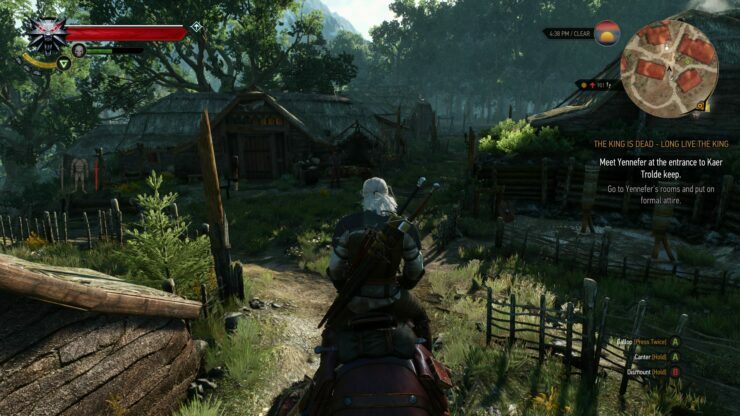 Nvidia has recently released a gameplay video for the Witcher 3, showcasing Nvidia HairWorks, PhysX and other features. A behind the scenes video released by CD Projekt RED shows Game of Thrones’ Charles Dance talk about his role in the Witcher 3. 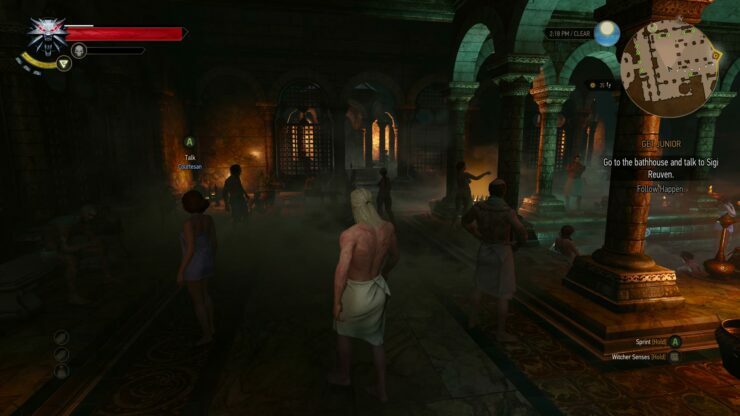 The game is said to offer over 100 hours of game time, and even a speedrun took internal testers 25 hours to complete. The full map of The Witcher 3: Wild Hunt is absolutely huge, and there are many different areas and environments that players traverse in during their countless quests. The Witcher 3 is less than a month away from release, and as we have previously covered, CD Projekt has already announced that pre-load options are already live, as well as the unlock times for The Witcher 3. The Witcher 3 will release on May 19 2015 for the PlayStation 4, Xbox One and PC. We will bring you more information on The Witcher 3 as soon as it becomes available. 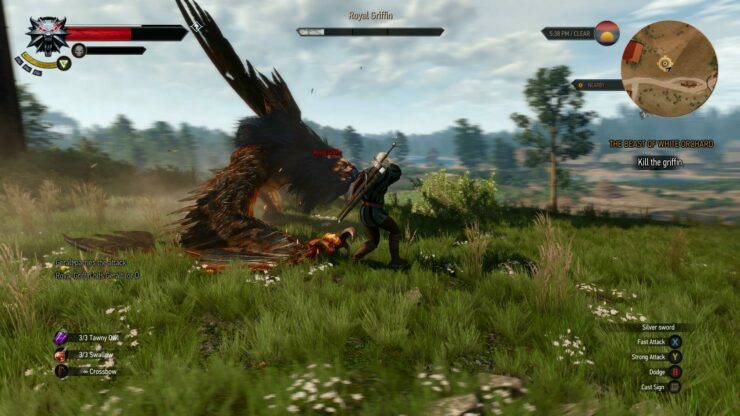 Be sure to check out our previous coverage for more information on The Witcher 3, here and here.